In part one of this three blog series, we covered the subject: WHY do people leave churches (statistically)? But we’ve yet to discuss the questions: WHEN is it appropriate to switch? And How should we make such changes? Uprooting your family at the wrong time can be a traumatic thing if God isn’t in the move. The Psalmist wrote that if we’re “planted in the house of the Lord, [we] will flourish.” That’s why my wife and I are quite emphatic that families make it a tradition to be in church whenever the doors are open. There’s a huge body of research that shows when families are diligent to keep a deep variety of friendships through consistent church attendance, they are far more likely to be healthy in a broad number of areas. And in an era that constantly thrusts weekend sports, jobs, etc., above church, it’s not surprising that these types of Christian families experience higher risk factors. But setting aside these obvious saboteurs, quite often, we kill our family’s ability to flourish due to thoughtless church-switching. So, what are some good reasons to switch churches? There’s no reason why a church shouldn’t be growing today. “The harvest is plentiful.” Indeed, in almost every city on planet earth, there are churches that are flourishing (even in hostile environments). In fact, Jesus said, if we’re connected to him (John 15), that we will experience growth. This may not be “fast growth” (say, 20% growth each year). But, healthy churches generally grow by at least 5-10% a year. There are a few exceptions, of course. For example, if you attend a small town church (say, under 50,000 population), or live in a city with a totally devastated economy (E.g., unemployment over 20%), then slow growth is not necessarily the church’s fault. People and staff also come and go in clumps (or family clans). But don’t assume that, just because your favorite “family clan” is leaving that there’s a huge systemic problem at the church. As I mentioned in part one, when there’s a change in senior pastors or organizational structures, it’s probably healthy that 10-20% of churches’ attendees transition over the next five years. Obviously, if a church has lost more than 10% of it’s people in a single year (with none of the above mentioned issues)… there’s probably a major leadership blind-spot that needs to be addressed. But I wouldn’t let a single year or two be a deal-breaker. However, if a church hasn’t grown in five years, in my opinion, it should start setting off major alarms. Keep in mind: There’s a serious stewardship issue you need to be aware of. You’re going to stand before God and answer for how you stewarded your resources (time, energy, money). At Substance, we’ve had seasons where we can plug-in over 22 unchurched people for every $1000 of outreach money spent. That’s a great investment-return for an American church. But, someday, if that ratio turns into complete mush, I certainly hope you’ll leave Substance for a church that’s on fire. I certainly would. Indeed, growth is a sign we’re connected to Christ (Jn. 15). Parents everywhere want their kids to love the Lord; but, quite often, these same parents ignore their kid’s voice when it comes to choosing a church. You, who are mature, should be able to feed yourself almost anywhere. After all, mature Christians shouldn’t go to church to receive anyway. They come to serve. But young people don’t fully understand this yet. They need extra attention. And if you ignore them now, you’ll be spending the rest of your life interceding for their souls later. That’s why, at Substance, we’ve committed to always allow our youth to define our Sunday morning culture. As I’ve aged, this can get uncomfortable. Yet, nothing is more reassuring and fulfilling than seeing a church full of charged up young people. Don’t misunderstand me: No matter what church you go to, your kids are going to experiences the ups and downs of friendship. You have to be constantly vigilant about facilitating relationships with and for them. Sometimes, you can outsource your kid’s needs to another church. But don’t get all weird and stuffy if they choose a different church than you. Just be glad they’re choosing a church, period. Very few churches tend to grow after their founding pastor leaves. The exception to this fact is when the non-founding pastor stays for longer than 10 years, AND, the church has a decent form of government that allows the new pastors the ability to slowly rotate their leadership teams. Of course, even this doesn’t guarantee growth. But, the average American church can take around 6-12 years after a major pastoral transition before it enters into another growth cycle. Unfortunately, many churches amplify this problem by ignoring something I call the divine chemistry principle. Part of the reason why churches grow so fast with their founding pastor intact is because, everyone in the church is there because they have “chemistry” with the senior leader. I.e., The “leadership unity” of the church is strongest in the early phases of a church. But, as leadership transitions ensue, people start feeling called to the “house” or other sacred cows more than “the pastor.” And, statistically, this creates a rather precarious situation for church growth. To explain this another way, a lack of divine chemistry can create a rather awkward marriage. Imagine if you married someone who repulsed you; yet, you married because you loved their house and their Aunt Susan (because the Lord told you that you’d have a house like that). And you loved your odd spouses’ second daughter. The same is true when people are “called to a church” more than its “senior leader.” It’s a marriage of co-dependancy… held together by political alliances and sacred-cow ministries. Creativity, efficiency, and risk-taking end up taking back seat in these types of situations – which ultimately decreases the odds of growth and happiness for everyone. That’s why, it’s imperative for Christians to ask themselves the question: Am I called to the senior leader(s) of my church? At one church that I took over, the first thing I did was encourage church members to check out other churches. Yes, this drove a few of our board members crazy (due to the potential financial implications); but, it was one of the healthiest things I ever did. Like Gideon’s army in the book of Judges, I believe God can do far more with a smaller group that’s filled with unity, than a large group full of politics and sacred cows. Friendships are one of the greatest statistical predictors of spiritual growth – not church services. Thus, when it comes to spiritual health, it’s kind of silly when people switch churches over “formatting issues” or other forms of theological nitpicking. Don’t misunderstand me: If you’re bored to death in church or the pastor is decidedly into heresy, it’s time to look. But, people who leave a church because “they prefer 6 songs instead of 4” or, because “they prefer expository messages vs. topical messages” usually have their spiritual priorities screwed up. As I illustrate in my book Pharisectomy, these things have very little statistical impact on transformation. Even more, mentalities like these usually reveal a self-centered orientation – sometimes an idolatrous addiction to pet-doctrines or church service formats. However, Christian fellowship is something that needs to be prioritized when looking for a church. Studies show that if you don’t have several best friends in your church, you have very low odds of growing in Christ. So, it’s important to think “beyond the church service” when choosing. In some cases, our lack of fellowship can be remedied by being a bit more relationally aggressive. For example, at Substance, we have more people attending our small groups than our church services. Yet, despite our robust fellowship opportunities, there are still people who fall through the cracks. Some people are too busy or too introverted to experience healthy fellowship. Sometimes, personality flaws can also sabotage our fellowship options. But ministry ownership and small group involvement is a discipline that every mature Christian needs to develop. Sometimes you have to visit 8 small groups and volunteer opportunities before you find your tribe. But let’s be honest: Some churches are ministry or fellowship “dead-zones.” The church may not appreciate your obsessive passion for mime-evangelism. Or, the church may not have fellowship that fits your season of life. Keep in mind: Every church has slightly different strengths and weaknesses. Some of them may actually desire the passions or diversity you bring to the table. But don’t try to force your agenda where it’s not welcome. Remember that, staying in such an environment will not only frustrate you, but it will eventually frustrate them. So, if it’s time for me to leave, how do I do it? Keep in mind: leaving a church doesn’t need to be a traumatic thing. In part three of this blog series, I’ll explain HOW to make church-transitions a positive, God-inspired change. But in the meantime, stay full of the life of God. Because the fruit of the Holy Spirit should follow you no matter what community you call home. Pastors like me work really hard on making it easy to join a church. Believe it or not, since we planted Substance a little over 7 years ago, we’ve averaged around 500 new members every year. Of course, we also tend to lose about 150 people a year due to relocation, dissatisfaction or sending (like missionaries or church-planting teams). However, nobody seems to teach on how and when to leave a church. 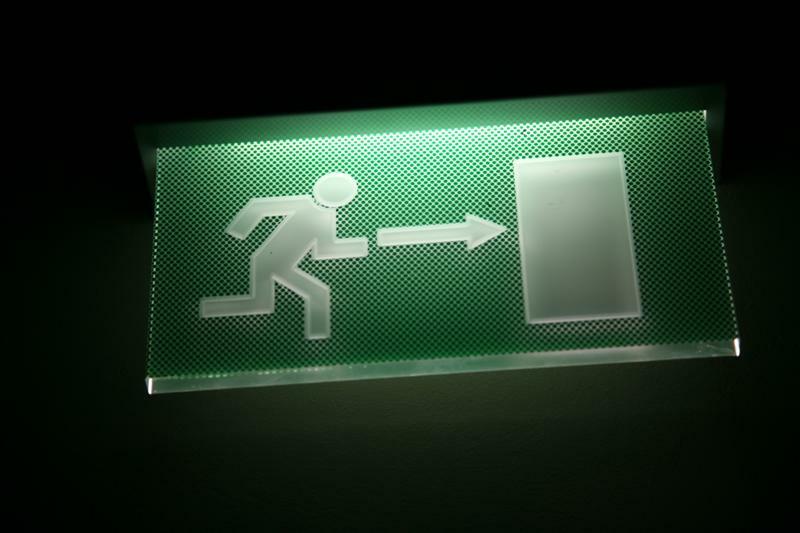 A little turnover is actually a healthy thing for a healthy church. Healthy lakes always have inflow AND outflow. Only stagnant ponds “receive” yet never send out. And the same is true with churches. If God is truly in control of our community, he has the right to reallocate his troops as He sees fit – even if it’s a bit painful from time to time. Obviously, leaving a church can be a complicated thing. Some people leave a church prematurely because of unrealistic expectations or character flaws (in both leaders and/or congregants). Others leave because God is divinely orchestrating a beautiful plan for both parties. But whether you’re the one leaving or the community being “left,” you better be willing to scrutinize your motives; or else, one thing is for sure: You might miss God. Unfortunately, people stay in dying churches or leave prematurely all the time. So, as we begin this 3-part blog teaching series, we’re going to cover three fascinating aspects of church-switching: Why, When, and How? Why do people tend to switch (statistically)? When is it appropriate to switch? And How should we make such changes? But, in part one of our inquiry, let’s explore a few reasons WHY people tend to leave a church. Why People tend to Leave? (1). Programming: Statistically, thirty & forty-somethings (or those with teen-aged kids) are more likely to swap churches than any other age categories. Some researchers believe this happens for two main reasons: Kids have a way of changing your priorities. Churches that are unable to offer sufficient programming for families often lose connection to churches that that do. This is partly why mega-churches have tended to dominate over their smaller counterparts since the 1990’s. (The majority of evangelical church growth in the U.S. occurred in churches with over 1000 members). The discretionary time of the American family has dramatically decreased over the past few decades. Thus, if churches fail to offer “synergistic programs” (such as adult programming simultaneous to youth programming) they’re likely to see a bleeding out of these age categories. Also, 30 to 40-somethings tend to be the most relationally isolated age category (due to job and kid responsibilities); and, when considering that “fellowship” is the number one predictor of church satisfaction, a socially isolated couple is much more likely to church-hop. (2). Leadership Ages: As I shared in chapter nine of my book Pharisectomy, the median age of a churches’ staff or platform ministers has a dramatic effect on certain ages. Because the vast majority of American churches are dominated by leaders over fifty years old, it’s much more common for those under these ages to feel disenfranchised. Quite often, churches take on the age of their senior pastor (unless the median age of the overall staff or leadership stays low). It’s a simple ownership and relevance issue. Surely the mature will see beyond such criteria; but, it clearly has an effect. (3). Leadership Changes: It’s also quite common for people to switch churches during a change in executive leadership. Obviously, there is a grieving process that occurs. And as churches change, it’s easy for some people to feel lost in the process. (4). Lack of Empowerment: If people are unable to find their dream-ministry in a church, there’s a higher likelihood that they’ll switch churches. Sure, it’s fun to sit and receive in a church service; but, as Jesus said, there’s more blessing in giving than receiving. In fact, studies have even proved that, if people can’t find a ministry that charges them up, there’s a higher likelihood of disgruntlement. (5). During Extreme Growth (or lack of growth). Substance’s fast growth has resulted in huge number of amazing testimonies. However, it’s easy for these stories to get lost amidst the discomfort of change – or these stories never make it to the lesser involved members. Also, when launching new campuses, our lesser connected members might feel the loss of friends to new campuses more than the joys of our ever expanding ministry fellowship opportunities. Likewise, when churches experience a painful lack of growth, it’s rather demoralizing – especially when church members are sowing their hard earned blood, sweat and tears into a sinking ship. But it begs the question: WHEN should we leave? And HOW should we do this? Get ready. Because, our next two installments will take these issues head-on. One of the difficult things about Substance is that we don’t have a facility large enough to do a “family meeting” …you know… the type of meeting where we talk about nickels, noses, and needs. In fact, we don’t even have a facility where even 20% of our church could meet. Thus, every few months, I’m forced to insert a “State-of-the-Church” update into my message. And it’s hard to keep people informed when things change as often as they do. But to keep people up to speed, I occasionally write F.A.Q. documents like the one posted below. The details are too much for a Sunday morning message; yet, a curious and involved congregation like ours needs to stay in touch. So below, you’re going to find a huge number of answers. I write in detail about questions like: Where might this facility be and why? How long might our facility take to build? What other campuses might we consider building in the next five years? But, hopefully, one thing will be abundantly clear: We need prayer warriors, and we need generous givers. Even more, we need your input. So, after reading the document below, make sure you give us a shout if you have any comments, questions, encouragements or concerns. One thing is for sure: If Substance can accomplish this much with little or no resources, imagine what’s possible in the next five years. Prayerfully read the following FAQ’s. And when you’re done, ask yourself: What role would God have me play in all of this? In the meantime, stay full of God’s life. The vision that God has for Substance is just beginning to unfold. Help! 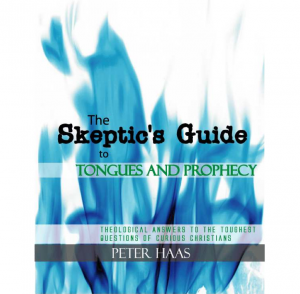 What’s the Deal With Unknown Tongues and Prophecy? Lately, in our series on the Supernatural, we’ve been diving into some of the stranger aspects of Christianity. With the doctrines of unknown tongues covering eight chapters of scripture, all by itself, it’s amazing how few pastors actually address it. As bizarre as some of those passages might be, what kind of pastor would I be if I simply ripped them out of my Bible and never addressed them? Truth be told, there are a good number of teachings in scripture that are rather mystical or strange. For example, Jesus spat in a man’s eyes to heal him. Another time he rubbed mud in the person’s eyes. Another time, God required a man to dip seven times in a dirty river… I.e., if we were to look for a “formula” to the miraculous, our ideas would take us all over the map. Quite simply, it took a lot of guts for the disciples to follow Christ. Following Christ required risk – which is just a fancy word for faith. Faith isn’t a theoretical thing. It’s a verb. It’s a muscle we choose to flex. And if we want to experience more miracles, we’ve got to become comfortable flexing that muscle. Don’t get me wrong: I’m not saying we should be foolish, spooky or mystical. We don’t need to become cultic in order to experience God. Indeed, that’s why Paul was so specific to the believers in 1 Corinthians 14. God asks us to walk a fine line. And that’s why we’re doing this series on the supernatural. We’re asking the question: How do we wade through the tension that often accompanies the supernatural? How do remain open-minded to strange experiences without checking our brains at the door? Secondarily: about a decade ago, I compiled a long list of theological questions pertaining to unknown tongues and the miraculous. And to help a few people in our last church, I ended up compiling it into a quasi-book called “Skeptics Guide to Tongues and Prophecy.” Of course, I’ve never published it (on purpose). Partly because I’m still working through my own theology on this. And partly because, I’ve never fully edited it. (By the time you read the ninth spelling error, you’ll see why). My standards for good writing have changed a LOT in the past ten years. Yet, at the very least, the information inside will still give you a leg up in your own study of the Bible. Unfortunately, there aren’t a whole lot of studies which adequately address the deeper problems that most people have on these issues. And, as always, you don’t have to agree with me. I just want to give you a resource that will drive you deeper into Scripture. Make sense? Because the real goal is this: I want to be effective with the Gospel. And I don’t want to miss out on anything that God has for me… even if it requires a little risk. Would you agree? 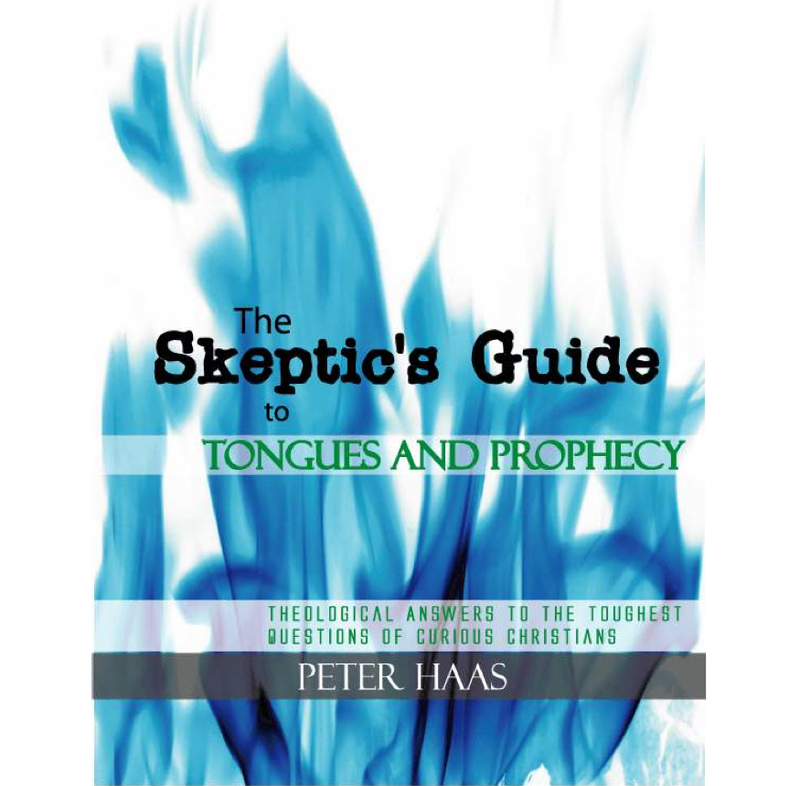 Download The Skeptic’s Guide to Tongues and Prophecy by clicking on the image below. Join us as we start the year with fasting! And keep in mind: Fasting doesn’t merely mean: abstaining from food. After all, you can fast almost anything. For example, my wife will often fast sweets, desserts and candy. Other people fast movies, t.v. shows, or even coffee. (I realize that I just made a lot of you really nervous!) But trust me: Fasting is one of the most amazing spiritual disciplines that God gives us. But why do we do this every January? Well, the Bible gives us dozens of examples. Quite simply, fasting gives us supernatural advantages in living life. The book of Isaiah says: Those who fast get Healing. Jesus said: Those who fast get Power over demonic oppression. Again, Isaiah said: Those who fast get financial prosperity: “You’ll ride on the heights of the land.” When Ezra fasted, God gave protection over his kids & possessions! When Daniel fasted God gave him understanding. When Eliazar Fasted God gave him a woman! (Some of you Men suddenly started taking notes). When Jesus started his earthly ministry the 1st things he did was fast. So keep in mind: This isn’t just a “neat discipline” for crazy people. This is an essential discipline for anyone who wants to experience life to the fullest. So how do I participate? Well, quite simply, pray about what God would have you fast & simply join in, January 11th through the 31st! Obviously, there are a few practical things you can do like, come out to our Tuesday night Deeper services. We’re ending the fast with a fun worship night on Tues the 31st. Also, here’s a link to many of our past messages on fasting. We’ve taught over 8 messages on fasting in the past two years. They are sure to get you super excited about your fast. (7). Make a fasting Calendar: I love to have variety when I fast. So when I map out my 21 days… I don’t always do “juice only” for 21 days straight. Often, I like to mix it up. For example, I’ll do 4 days of fruits and vegetables only (a.k.a., a Daniel Fast), then a juice only day, then a free day. For me, I’ve found that this kind of variety helps me stay in a worshipful attitude more. But experiment for yourself. Remember, this should be a fun (yet challenging) experience. Lastly, check out www.awake21.org for more fasting tips. Every day you’ll hear a new short sermon related to fasting and prayer. They also have all sorts of ideas about how your family can participate, plus books and more. Have you ever had questions about the end of the world? According to Pew Research Foundation: 1 in 5 Americans believe that Christ will return in the current generation. 1 out of 8 Americans believe that something Apocalyptic will happen on Dec. 21st, 2012. 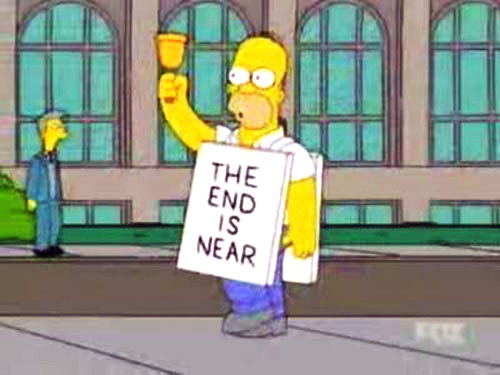 A U.S. News & World Report poll revealed that 60% of ALL Americans from all faith backgrounds believe the world will end eventually. And 20% of Americans believe that earth’s life-expectancy is just a couple decades. I.e., It’s safe to say that EVERYONE has a sense that it could all end quickly. We all know this world didn’t spontaneously arrive out of nothing… & if it did, we have equal reason to worry that it’ll end just as quickly. So the million dollar question is this? What does the Bible teach about this? The goal of this series is to dive into a few of the top questions that people have about the end of the world! Even non-Christians have heard the Biblical terms Armegeddon or the “End of Days.” But what about the Anti-Christ? the # 666? 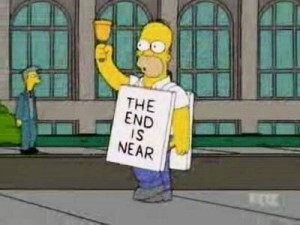 Or, what’s this Rapture thing all about? But here’s how our series is going to be different. I’m going to do what I’ve never heard other pastors do, and that’s present ALL of the major interpretations on this. That’s right: I’m going to present really good arguments for each and then let YOU choose. Don’t get me wrong: I have my opinion. But there’s something powerful about being given the information to choose. I find that people seek the scriptures MORE when presented with options (instead of being indoctrinated). And ultimately, that’s the goal of this series: to get you interested in the study of God’s Word. Besides, we’re going to have fun while we do it. Our video team has put together some amazing videos for this. We actually shot the sermon intro in downtown Minneapolis… which looks exceptionally cool when our team made it look like Aaron Kindvall (one of our leaders) was jumping over a massive earthquake sinkhole. (Check it out here). But if you have questions about this kind of stuff… come on out to church this November — unless the rapture happens first? (or, does that even exist in scripture?) !!! 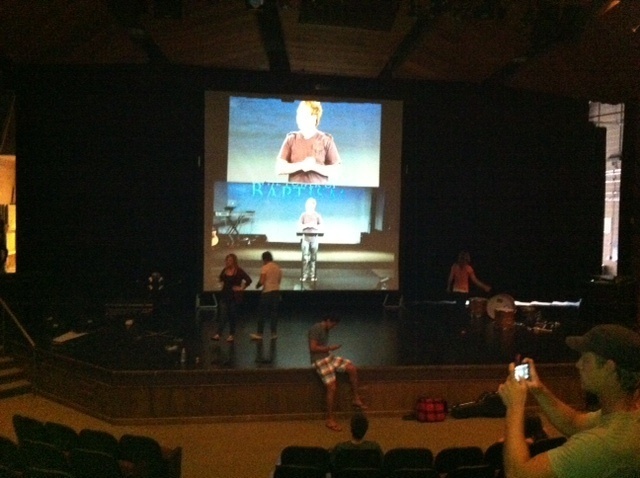 Testing the video at new campus! (1). We just launched an amazing new campus, AND made it look easy! Seriously, we have some of the greatest volunteers on planet earth. Who would have thought that adding two more services at a 650 seater would be easy. Yet it looks amazing. The kids ministry area is everything we’ve dreamed of. (2). Our new staff members are everything we dreamed of: Bart Scharrer is taking our children and youth departments to a whole new level (in fact, be watching these areas because, we’re incubating some revolutionary upgrades over the coming year). Of course, it also doesn’t hurt to get people like Becky Vanausdall on the children’s staff or Andrew Neilson at the helm of 40 dynamic interns. And brand new staff, Daniel Thunker and Jeff Dodge had a lot to do with a smooth Spring Lake Park launch. 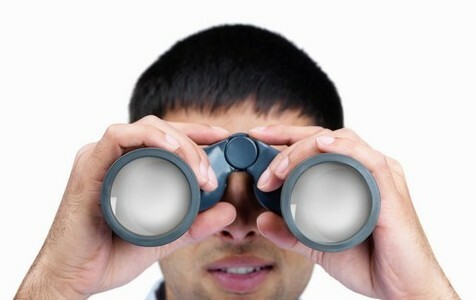 But, be aware, these hires are just the beginning of a grand-scale plan to take Substance to a new level. (3). I’ve got some crazy new teaching series planned for this Fall. For starters, we’re launching the Fall with the “I Quit” series. Focusing on the super-practical, we’re going to hit every imaginable topic from dealing with a frustrating job to a frustrating marriage. Later on this Fall, we’re unveiling a super fun series called “Cramming for the End Times.” With a never-ending deluge of strange opinions about the end of the world, we’re going to cut through the clutter and discover what the Bible actually teaches. But don’t worry, I’m going to present a variety of theological opinions and then let you all decide for yourselves. It should be explosive…err, I mean, exciting. (4). Lastly, we have two new Substance magazines on the way. The first will feature all of our amazing new ministry opportunities here. And the second will give an inside look at all of Substance’s financials. Our money has done amazing things all over the planet – from Pakistan to our church plant in Ethiopia. But with each issue, we keep getting better. So stay in touch. Some of the biggest upgrades in our churches’ history will be coming over the upcoming school year – including this blog! But, if you’re new to Substance, make sure you sign up for “Starting Point,” the newcomers reception that runs the 1st & 3rd Sundays of every month. After meeting a few staff, we’ll give you the inside scoop into all things Substance. In the meantime, make sure you say “hi” to me when I tour through the campuses. I still publish where I’m preaching “live.” Yet, I’ll also be sure to hang out in the foyer whenever possible. Love you all! Keep seeking Him. Inside Scoop on our New Campus and Building Plans! 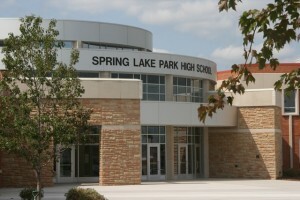 All around Substance there’s a buzz about our new Spring Lake Park campus. Especially when we’re launching with two services right off the bat, people have been asking me a lot of questions about what I think this next year will look like in terms of growth and facility planning. Obviously there is only so much I can share from the pulpit. Especially after our last Catalyst offering, people have been asking me: Where might our permanent facility be? Are we building from scratch, etc. So, I actually spent a couple days addressing a huge number of questions. (Hopefully it will satisfy all of you super-curious folks). So, first of all, I want to point you to my “Facility F.A.Q.” Page which I’ve linked right [here]. In this essay, I’ve essentially answered the following questions: Where is it gonna be? Are we building from scratch? Are we retrofitting an existing building? How big? How small? How much will it cost? What’s your view on debt? Could this building mess up our church culture, etc. Truth be told, you’ll quickly find out that we have more questions than answers; but, at the very least, you’ll totally understand why. Secondly, I realize that there are a lot of people who get a little bit spooked whenever they hear about a church doing a “building project.” A lot of people tell me that their church “changed” in a negative way. However these circumstances are usually amazingly predictable. And for those who missed it… I actually preached an entire message at one of our “Deeper services” on how church facilities have helped churches (as well as wrecked churches) over the centuries, called, “A Theology of Bricks and Mortar.” [Linked Here] If you’ve ever been worried about how a facility might negatively affect Substance, this is a MUST-watch message. But get ready: It’s pretty deep! Lastly, for those of you who missed the last message I gave updating our facility situation – (last March) click here… Or for those of you who are more interested in Substance’s financials, [click here]. We’re actually in the middle of producing a whole new financial magazine for you! But here’s the deal: As Substance’s momentum increases, I need every one of you to stay in touch. It really blesses me when people take the time to read the information (as it’s getting more and more complicated to recap the same info for everyone). In the meantime, keep praying for us with these Catalyst offerings. You can still give if you haven’t had the chance. Seriously, every dollar makes a HUGE difference. In the meantime, I LOVE you guys. Stay connected with God! He’s on the Move. 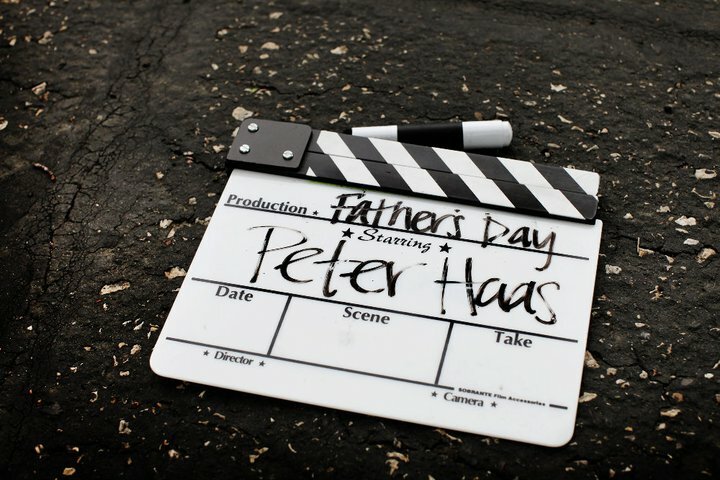 A Reality Show for Fathers Day? At Substance we’re always trying to push the envelope with our multi-media. Of course, we may not have all the money and equipment that many mega-churches have. But we have all the heart! And get ready because Substance is about to experience an exciting new gem this Father’s Day. Believe it or not we filmed a fun little “reality t.v. show” about me and my dad. Imagine a quirky mix between an Oprah episode and Extreme Home Makeover (without the budget : ) and you’ll get the idea. In fact here’s a teaser. 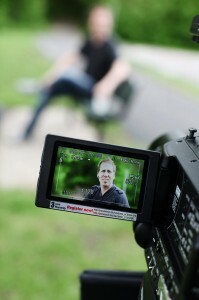 But, with every new documentary we shoot I want to remind everyone of the greater call God has on our church. Ever since the beginning I’ve had this sense that God wants us to do far more than merely plant a church. Rather, I believe, God wants us to be a church that reclaims the media arts for his kingdom. That’s why one of the first things we raised money for was a video-editing studio. Many of you know I have a strong background in music composition and engineering. My grandfather was a violin maker. And after a decade of private cello piano and guitar lessons, I dove headlong into composition and recording arts. (In fact I’ve scored for films before). In fact that’s probably what I’d be doing if I wasn’t pastoring. So, since the beginning, it hasn’t been hard for me to attract artists. And it certainly helps to have brilliant musicians like Jamin Cousins on staff (who now does it for me)…Or Pastor Nick Foulks & Tru-serva who are doing sick music and videos in the hip-hop vein. Over the years I’ve become quite the film buff too. I’ve edited, directed, and/or scripted about 80 projects. Don’t get me wrong: I’m a terrible cinematographer. But I still torture my wife by constantly pausing movies to explain their brilliance (or their dullness). Yet, even still, this call to the arts isn’t merely based on my passions. It seems to saturate a huge amount of our congregation. We have an amazing number of graphic designers, video editors, and song-writers who are all waiting in the wings. For example: I just saw the movie Super 8 by J.J. Abrams and Spielberg. It’s basically a cross between E.T., Goonies, and Jurrasic Park (although there are a few naughty words… so do not bring your kids : ) But, Substance’s very own, Sonya Tormoen was one of the Casting Directors for the army of extras it took to pull off the film. I was riveted listening to all of her stories about making the film. And as she shared I couldn’t help but get excited about Substance’s own future. I mean God is assembling a pretty amazing team here at Substance. Don’t misunderstand me: We are still a total bunch of wannabe’s at this point. We are still totally unprepared to do a decent motion picture (Ntl.level). But, with every project, we’re getting closer and closer. If any church could do a brilliant low-budget film it’d be us! And what greater mechanism to preach God’s word than film? God gave me a dream that one day Substance would be a production house capable of producing a solid number of inspirational films each year. With more and more churches embracing video-venues we are inadvertently incubating an entire generation of Christian artists. And I believe that God wants us to be at the forefront. So, get ready Substance: These little projects are soon stacking into a mountain. And this mountain is going to point to our God in an unmistakable way. Is Club Style Rap & Electronica Worship Pushing it too Far? As many of you know, Substance is always trying to test the boundaries of church. Over the years I’ve always been testing a new hypothesis… like: How large can we grow our church without having offices? Turns out that our number was 1700! Of course I’m not saying we’re “wise” to experiment as we do. But once you get to know me you’ll find that I’m an insanely curious person. And I guess that’s what led us to start doing new things in worship. For those of you who weren’t totally consumed by the rapture : ) you’ll notice that we had an “all Club / Electronica” worship set at our two main campuses again. And, keep in mind, the goal of these things isn’t simply to “do a cool worship set.” Honestly, “coolness” isn’t a high priority for us when we assemble our worship experiences here. (Although dorkiness isn’t a priority either). It’s just that many Christians are idolatrously addicted to their formats. And if pastors like me don’t intentionally mess with these formulas, Christians start pretending that God exclusively loves their formula the best. For example, I often remind our church that music wasn’t even the driving force of church services until the 1700’s. Most people credit the Moravians and Charles Wesley as some of the first people to make a “music-driven worship experience” central to the modern church experience. In fact, many historians credit Finney in the 1800’s as one of the first pastors to intentionally design worship experiences to become an “emotional arc that leads people towards an alter experience.” Yet, ironically, today these very experiences have suddenly become the very litmus test of whether or not the Holy Spirit loves a given church. There are people who, honest to God, believe that God loves a very specific type of worship format. (I.e., 6 songs… 2 fast, 4 slow + 15 minutes of alter ministry). Of course, the Bible teaches a totally different approach to worship in John 4:23. A Samaritan woman tries baiting Jesus into a worship debate that was hot in their day. And rather than taking the bait Jesus quickly tells her that she’s missing the entire point of what God is really looking for. “Yet a time is coming and has now come when the true worshippers will worship in the Father in spirit and truth, for they are the kind of worshipers the Father seeks.” I.e., It’s not about format or location. It’s about the heart! I.e., If we think we can judge a churches’ worship based on their services or formats, than we definitely have a different set of criteria than God. “So then, Pastor Peter, are you saying that you have absolutely no opinions about worship?” Of course not. I’m incredibly opinionated. In fact, there are all sorts of things I like to do that help me connect with the Lord better. A worship service is essentially a group meditation that helps people focus on God and his plan more. So, obviously, there are certain things that can help or enhance people’s ability to connect. Of course, we all connect in different ways, don’t we? And there’s no way that we’re all going to agree on how to do this. After all we all listen to different music. We all struggle with a different set of distractions. In some ways, it’s a crying shame that more churches haven’t integrated rap or electronica music (after all, it’s been the dominant music choice of our culture for almost 20 years already). Sometimes it almost feels like some churches are intensionally trying to make it increasingly hard for people to know the Lord. In fact, this was one of the hardest things for me to understand about Christians (before I became one). For example: I’ve always had a problem connecting with what many Evangelicals call “worship music.” I didn’t grow up in a contemporary worshipping church. In fact, I once made a vow to never attend one of those freaky weird churches where people “lifted up their hands.” After all, to me, it seemed like a cult church where everyone was convinced they were slow dancing with a seven foot Jesus. It just didn’t seem sacred. Even more the music felt alienating. In some ways, the entire experience subtly communicated to me: “If you don’t like this music or format, you’re not welcome.” And, to be honest, that message actually reflected the attitude of a good number of Christians there. Of course not everyone has a self-centered approach to worship. Most mature Christians accept the fact that, on Sundays, the service simply isn’t about them. After all we, who are mature, can worship God however we want all week long. It’d be extremely egotistical to jam chunks of steak down a babies mouth simply because — I like meat! And most mature Christians realize that God is more honored by our willingness to reach lost people than the pretense of emotional worship (Luke 15). Don’t get me wrong: Every Christian needs a time to go super deep in corporate worship (time to eat steak). That’s why we have “Deeper Services” every Tuesday night. But even mature Christians can get stuck in a rut and end up with a malnourishing “worship diet.” And that’s why pastors like me are constantly trying to stretch our church whenever it comes to worship formats. One of the things that I noticed with our Electronica set was that… no one even cared about the style by the time we reached the 3rd song. Everyone seemed too engaged with God to care. And frankly I think that is how a healthy church should be. The style or format shouldn’t even matter. It’s the heart that counts. And that is something that God will routinely test if we want to be long-term followers of Christ. So get ready Substance! 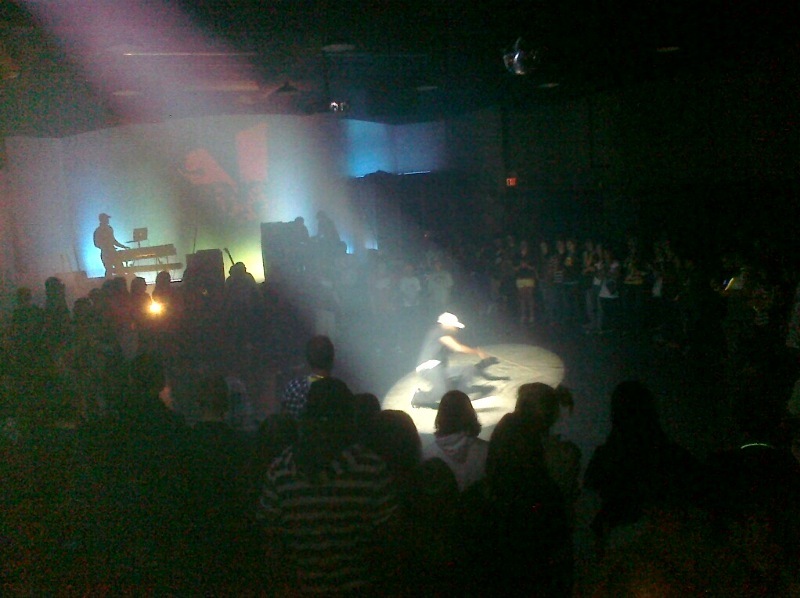 We’ve got all sorts of unique worship experiences that we want to throw your way. God’s word says: “Sing to the Lord a new song.” We need to remember that God created over 15,000 varieties of ferns because 14,999 weren’t enough to give him glory. Thus, our worship should be the same way. God is infinitely creative. He is infinitely diverse. And when our worship get’s caught in a rut – make no mistake – God is not glorified. It neither reflects him nor the creative nature he’s placed inside of those he’s redeemed.